Martin Shkreli could lose some of his pop culture relevance after federal prosecutors asked a Brooklyn federal court judge on Thursday to seize assets that may include the former pharmaceutical executive’s one-of-a-kind Wu-Tang Clan album, among other items. Federal prosecutors asked for Shkreli to turn over approximately $7.4 million in assets after he was convicted of securities fraud and conspiracy to commit securities fraud earlier this year, according to court documents. In the court filing, prosecutors said they could take the $5 million Shkreli paid in bail and identified several valuable items that would also be accepted. Those items include the Wu-Tang Clan “Once Upon a Time in Shaolin” album for which Shkreli said he paid $2 million, as well as the album “The Carter V” by Lil Wayne, a World War II Enigma machine, and a Picasso painting. 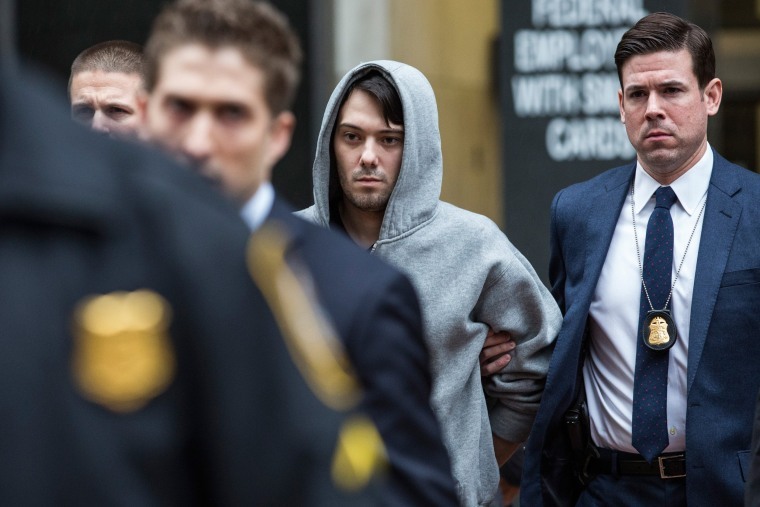 Known as “pharma bro” after he attempted to inflate the price of a life-saving AIDS drug, Shkreli was convicted of defrauding investors of a hedge fund he ran prior to entering the pharmaceutical industry. The court document said the assets would be seized to "hold Shkreli financially accountable for his criminal conduct by requiring him to forfeit" the nearly $7.4 million. Shkreli's high-powered attorney, Benjamin Brafman, said they would fight the proposed seizure. Shkreli attempted to sell the Wu-Tang Clan album on eBay and bids went as high as $1 million, but it appears he was unable to sell it. Shkreli is now being held in a Brooklyn jail after a judge ordered his arrest in September for a Facebook post that offered $5,000 to the person who could get him a strand of Hillary Clinton’s hair.